If there's one thing universal about kids, it's that they love stuff. From the moment infants learn to grasp, they make it their mission to get their hands on as much stuff as possible. And when they turn into toddlers, they learn how to ask for stuff. If you're like me, you cave in--a lot. We've got piles of toys in every room in the house. They're great and all, but ever notice how kids can have fun with just a cardboard box? Or a napkin? Or a water bottle? What if we capitalized on this curiosity and instead of bringing in more new stuff--that was manufactured, shipped (probably overseas), covered in packaging, and brought to your house--we taught them to look at the stuff we already have in a new light. But first, come to our Mommy Meetup this Wednesday, September 20 at Growlers Beer Bistro at 25 Main Street in Tuckahoe. It starts at 8pm, but roll in anytime between 8 and 10ish to meet likeminded moms and grab a drink or snack from the bar. When I was a new parent, I went for easy, not earth friendly. But now that my daughter is almost four years old, I’ve turned back to my interest in saving our planet, and now have a sidekick helping me out and learning right along with me. Can we use it in some other creative way? Growing up, we had a special toy in my house called a doodleloo. My little voice sounded so big when I spoke into it, and it made so many other toys. What is a doodleloo? It’s the cardboard left over from a roll of paper towels! 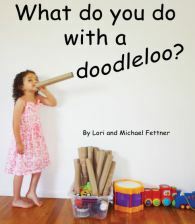 Check out my new rhyming picture book to see all the things you can do with a doodleloo! Want to see more? See sample Doodleloo pages here. -Large boxes (I mean rocket ships, cars, trains, boats), and other packaging items that could be used as Barbie/Lego beds, dressers, etc. -Packaging I get when I order glass jars from Vitacost makes great art supplies: Hay for horses, hair for our various creatures, stuffing, you name it. I donate clothing and other household items to various charities. Many will come right to your door to take your bagged items. My local go-to is Big Brothers Big Sisters for various items, and more recently Midnight Run for men’s clothing and accessories. Midnight Run is located in Dobbs Ferry and will make pick ups as well. I also recently brought several boxes of books to my local library. (Don’t forget to ask for a tax receipt with any donation.) An alternative to donating is selling your used items. Online tag sale sites are a good option, as are stores that will buy your items for resale. Be Green Kids Consignments is having their Fall sale event at the end of the month at SUNY Purchase. Click here to read BabyGotChat's lowdown on consignment sales. Car seats: These often can’t be reused because of the manufacturer expiration dates, and because once they hit the secondary market there's no way to know if they have ever been in an accident. Several retailers will accept your used car seats in exchange for a discount for your concern for the environment. Babies R Us is one company that runs used-car-seat promotions throughout the year and Target is currently running a promotion that ends on 9/23. Visit Facebook.com/AuthorLoriFettner for more info. Baby Food Pouches: These can really add up and are not recyclable. Of course it's best to make fresh food and store it in glass containers, but for easy and on-the-go, nothing beats one-time-use pouches. Even though you can't recycle them at home, you don't have to throw them in the trash. Terracycle is a program that can recycle the unrecyclable--baby food pouches included. When I asked for a list of participating organizations in our area, I was told to check our local schools, libraries, and nature centers. TThe Greenburgh Nature Center partners with Terracycle, but only for items consumed while on their premises. I will update here if I find any place in our area where you can bring your items from home. Unfortunately, Earth's Best is my brand of choice, and Terracycle has recently discontinued use with them. 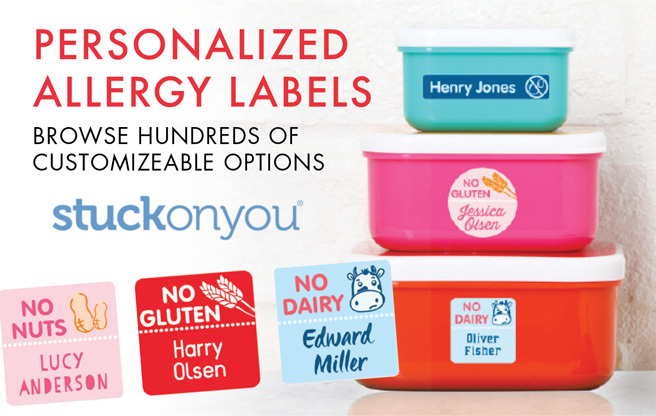 But check them out for your other brands of baby food pouches, toothpaste tubes, and much more. Toys: Something else I do that is a bit sneaky: I rotate my daughter’s toys. When she stops playing with something, I put it away in another room or even at the bottom of her toy box, and take it out again in a few months. It is amazing how many toys she will love again even when I think she has completely outgrown them! Can I change my habits to make less waste? Cloth diapers can be a great way to reduce the estimated 6,500 - 10,000 disposable diapers that end up in landfills over the course of a child’s first years. While there are a large number of educational resources online offering to teach you the basics, I’d highly recommend an in-person class at a local baby store. In NYC, Greenpoint’s Wild Was Mama is a great option. You’ll be confronted with two options at the start: a diaper service or wash at home. While diaper services offer the convenience of handling the cloth laundry, most require parents to wash the reusable liners and wipes at home. We were nervous about doing it all ourselves with newborn twins, but our instructor urged us to give it a try and indeed, it was far easier than expected. With a newborn, you’ll be facing a continual onslaught of laundry. This is just a bit more. If you go the route of washing at home, you will need diapers, covers, a diaper pail, liners and wipes. If you’re doing cloth diapers, cloth wipes are an easy add on--Etsy has the best simple flannel ones--and will save you from having a separate smelly trash can. Once your child is eating solids, I’d also recommend a diaper sprayer for the toilet (it comes in handy later on for potty training). There are a dizzying number of diaper styles and a gorgeous array of patterns and colors, some which can quickly negate the cost savings of cloth diapers over disposable. It can take some trial and error to find the one that suits your child the best, but I’d recommend starting with the classic (and cheapest) prefolds. For newborns you can secure them with “snappies”, a plastic fastener that replaces old fashioned diaper pins, and cover with a separate cover or wrap. To wash the dirty diapers, you simply run an extra long, extra hot cycle (refer to your washing machine’s manufacturers instructions) with a diaper friendly detergent. Once your child starts solids, you’ll have to first spray off the poop into the toilet (this is the part that tests the resolve of any cloth diaperer), but in the early milk-only days the diaper pail liner can simply be dropped into the washer--a great perk for sleep deprived parents. The diaper stash, fold, and wash techniques will evolve with time, but remember, it needn’t be an all-or-nothing approach. Disposables can be a great option for excursions or some childcare situations. I hope this information has been helpful to get you started on your adventure to save our planet. The nature center is a good resource for further information and a place to make learning about all this fun. My daughter loves the colorful bins, and uses the pictures to figure out where to put our trash. There is so much else we can do, from teaching our kids to turn off the lights when they leave a room to having fun with solar power and composting experiments. No effort is too small, as long as you’re thinking about our Earth and how to protect it. Lori Fettner is a local mom and author of four books. No Place Like Earth and What Do You Do with a Doodleloo? are Lori’s most recent rhyming picture books. She will be signing books at Barnes and Noble’s Local Author Fair on 9/24 from 12pm to 4pm in Eastchester on White Plains Road. Visit LoriFettner.com or Lori’s Facebook page for more info. That's it for this week! Don't forget to come to our Mommy Drinks Night on Wednesday! As always, check our website for events and weekly library programs.